Who takes over after Brady? I hate to break it to you Patriots fans, but Tom Brady can’t play forever. The legendary New England quarterback is in his 16th year in the league, and while he hasn’t shown signs of slowing down, at age 39, you have to think he will be looking to hang up those cleats in the next 2-3 years. 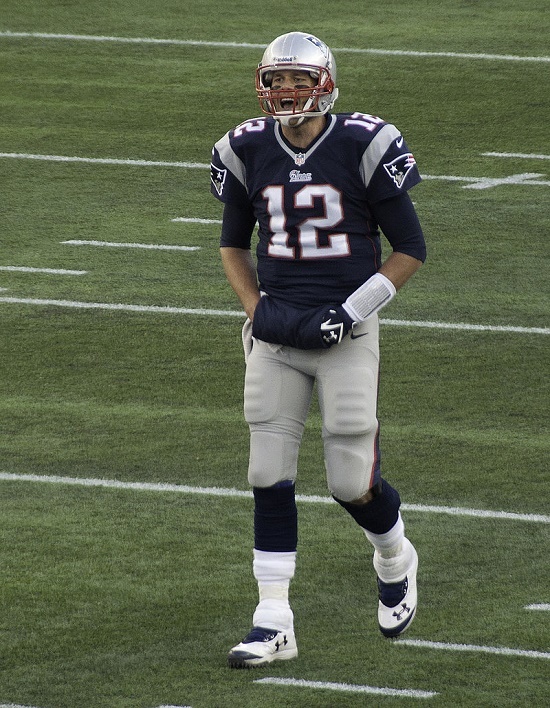 With Brady being the undisputed (or as close as you can ever get to undisputed in sports) best quarterback in the league, his eventual retirement will open the door for someone else to take that crown. Brady represents the end of a very dominant era, where he and Peyton Manning rewrote the record books practically every year. They squared off in some of the most memorable games of the last decade and consistently drew in viewers whenever the two matched up. Manning is already gone and with Brady set to follow in the near future, who exactly will step up to fill the void. It is kind of hard to say. The iconic 2004 draft class of quarterbacks featuring Eli Manning, Ben Roethlisberger and Philip Rivers likely still have a few more years in them. However, Rivers turned 35 today, Roethlisberger will be 35 in March and Eli Manning turns 36 in January. That group likely won’t be around for a whole lot longer to constitute an era or start an awe-inspiring rivalry. Most of their time in the league will be remembered as part of the legendary Brady-Peyton era. You next look to Aaron Rodgers, who joined the league in 2005. Rodgers just turned 33 last week, so he might be able to hang around a little longer than the three I just mentioned. However, he might have already started showing signs of slowing down with his rocky start to 2016. I could see Rodgers having a three-year run as the unquestioned top signal-caller. He might be the best-suited to succeed Brady in the short term. Keep in mind that even though this is his 12th NFL season, Rodgers did not start his first three years in the league, so he might have a bit more left in the tank than we think. After Rodgers, well I’m kind of stuck. Drew Brees is a Hall of Famer, but approaching 38, I’m not expecting him to take over. Carson Palmer is on his way out as well. As will Alex Smith. There is an interesting crop of three quarterbacks that offer some intrigue. Andrew Luck, Russell Wilson and Cam Newton all bring a lot to the table. All three of them are 28 years old or younger, all three are rather mobile and all three have the ability to take over a football game. The major knocks against Newton are his ball security and his completion percentage. For his career, Newton sits at around 59 percent through almost 6 seasons. While he may be a huge asset with his legs, he is prone to fumbling and trying to do too much with the ball, often leading to mistakes. Another big red flag is that despite tossing 35 touchdowns in 2015, it is the only season he has thrown more than 25 scores. This year, he has just 14 through 12 games. Those numbers don’t exactly scream elite. Luck was named the heir apparent to the NFL quarterback throne around his junior year of college. He started with two solid campaigns, followed by an outstanding 2014, only to fall into a weird funk for the last year and a half. 2015 was a lost season for Luck as he only played 7 games and likely played all of them hurt. The big knock against him has to be his lackluster completion percentage, which is only fractionally better than Newton’s. He also has a tendency for interceptions, with 63 picks in 66 career games. Part of that is due to the amount of pressure he faces. Luck is the most sacked quarterback in the league despite missing a game already this year. Luck is actually trending up after the last few weeks we’ve seen him play. Even though he has a poor supporting cast, Luck has failed to live up to Manning-sized expectations laid on him back in 2012. Then there is Wilson. He already has a Super Bowl ring. Point all you want to a great run game and defense, but that’s a good chunk of why Brady got his first three rings. Of these three, he seems the most poised to take the throne. Wilson has only 39 interceptions in 72 career games. He is closing in on his second consecutive 4,000-yard season and his career completion percentage is around 65 percent. However, when Wilson is off, he is really off. In Seattle’s three losses this year, he has thrown zero touchdowns, three picks and has a yards per attempt average under 6.5. If I had to pick someone long term when it comes to taking up the quarterback mantel, it would be Wilson. He already has that championship background and I could see him getting more. And he might just have a West Coast rival to deal with as well. There are a number of intriguing young quaterbacks in the league right now in Marcus Mariota, Jameis Winston, Carson Wentz and Dak Prescott. Long term, we might see a really fun rivalry between Prescott and Wentz, both being in the NFC East. However, there is one young quarterback that stands head and shoulders above the rest. Derek Carr is in the midst of an MVP-caliber season. At only 25 years old, Carr has been lighting up NFL defenses all year long. He launched 32 touchdown passes a year ago, in just his second NFL season and threw for just shy of 4,000 yards. This year though, Carr is set to break that 4,000-yard mark and throw for close to 32 touchdowns again. What is more impressive though is the increased completion percentage and absence of turnovers. The young Raiders quarterback has only thrown five interceptions this year and raised his completion percentage four plus points to a healthy 65.5 percent. This is just one year for Carr, but based on the jump he has made in each of his first two seasons, I am beginning to think that this kid is for real. I would be remiss not to mention Matt Ryan in this conversation. Ryan is in the midst of a career year at age 31. He is on pace to set career highs in completion percentage, passing touchdowns and yards per attempt as well as set a personal best for fewest interceptions thrown. If Carr is considered an MVP candidate, Ryan certainly has to be in the mix. He currently sits second in passing yards and passer rating, third in touchdowns, fourth in completion percentage and leads the league in yards per attempt. Given that he has a host of offensive weapons and a young offensive line, Ryan is set to play at a high level for the next several years. The tough thing is figuring out if 2016 is an anomaly based on his normal level of play or a sign of things to come. Also, if Brady hangs on for three more years, Ryan will already be 34 himself and running out of time to capture the league’s attention. The world without Brady is kind of hazy and there is no telling if we will ever see the type of rivalry we saw between he and Manning. The league seems to be running out of elite quarterbacks, but we will have to wait and see who steps up to the plate in the next few years. This is painful. 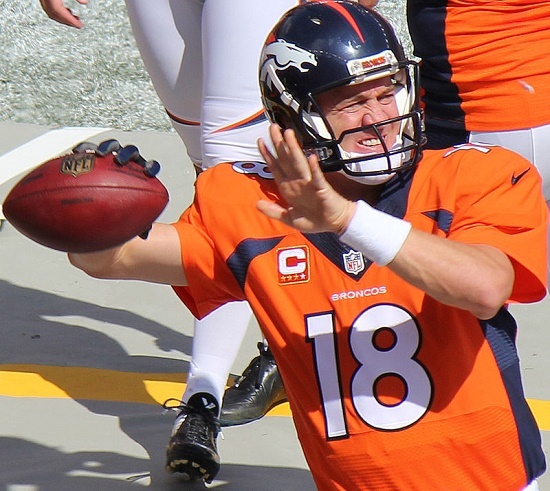 I looked back at my preseason playoff picks for the 2015 NFL season and it was ugly. I had the Colts winning the AFC and the Chiefs making it as a strong wildcard team. In the NFC, I had Dallas as the third team in and the Carolina Panthers are nowhere to be found. Obviously, I made some major gaffes in picking my preseason playoff field. Some of it was due to unexpected injuries. Others were me buying into the hype of some offseason moves. All in all, I have a laundry list of excuses (similar to the one I have for why my fantasy team is so bad this year). Here we are now though in the middle of the season with every team having played at least eight games. With the second half of the season about to get underway, it is time for me to predict how the season will end. Hopefully, this head start will allow me to do a bit better with these. For the AFC, Cincy wins the conference because it wins the tiebreaker over the Pats for record in common games. Denver slips up just a little bit too much to earn the first round bye. The Jets take advantage of a fairly easy schedule down the stretch to make it back to the postseason for the first time since 2011. Pittsburgh, despite all of their injuries, has games against the Browns (twice) Colts and Ravens. That allows them to sneak into that last spot. Over in the NFC though, things are much tighter. The Giants don’t really belong but a Week 17 win against the Eagles locks up the division for them. Carolina continues its dominance on its way to the top spot. Green Bay manages to rebound down the stretch and takes the first weekend of the playoffs off. Arizona outlasts the rest of the rugged NFC West to advance to the postseason once again, this year hopefully with Carson Palmer. Minnesota and Atlanta prove to be the best of the rest and lock up wildcard berths. Pittsburgh made the postseason but for the second straight year, not having LeVeon Bell proves to be too much for the Steelers to overcome. The Jets pick up their second win over Andrew Luck and Co. on the year behind a dominant ground game and an opportunistic defense. The Cardinals prove to have way too much for that Atlanta offensive line to handle as Matt Ryan has a rough day on the road. Adrian Peterson runs all over the Giants and the Vikings defense finds a way to limit Odell Beckham Jr. enough to get the win. Andy Dalton finally gets his first playoff win as the Jets offense sputters on the road. The game is close but Tyler Eifert ends up being the deciding factor. After beating New England at home in the regular season, Denver fails to take round two in Foxborough. Tom Brady does not lose to Peyton Manning twice in one year. 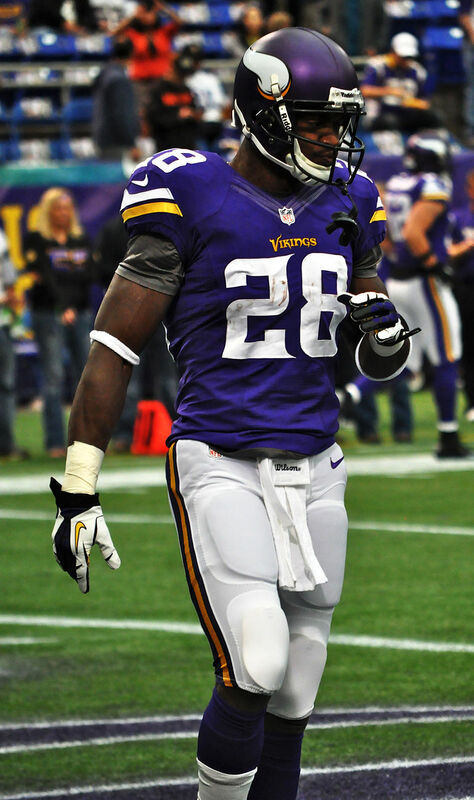 The Carolina defense bottles up Peterson and forces Teddy Bridgewater to beat them with his arm. The Vikings offense is simply not made for that. Despite going on the road, that Arizona defense causes some issues for Aaron Rodgers and the lack of a Packers running game shows. The AFC Championship game comes down to some simply math. Tom Brady is greater than Andy Dalton and the 37-year old out-duels the Red Rifle to return to the Super Bowl. The defense manages to bend but not break against the Cincy offense. Super Cam continues his super season. He ends up coming nowhere near the MVP award but he is closing in on the Lombardi trophy. Carolina’s offense runs through him, Jonathan Stewart and Greg Olsen. The real reason that the Panthers are Super Bowl bound is that defense though. It managed bottled up the Cardinal running game and pressured Carson Palmer all day without having to truly blitz. In a rematch of Super Bowl XXXVIII, Carolina and New England meet with the Lombardi Trophy on the line. This time though, its the Panthers who walk away having earned a ring. Carolina is able to pressure Brady without truly having to blitz, which is the same way the Giants beat him in the Super Bowl in past years. The Panthers are so deep along their defensive line, especially after getting Charles Johnson back midseason. The Patriots find themselves missing change of pace runner and pass-catching specialist Dion Lewis as they fail to generate much of a ground game. Cam Newton’s running abilities prove to be something New England struggles to contain as well. Julian Edelman has a big game but the Panthers limit Rob Gronkowski en route to the franchise’s first ever Super Bowl win. North Carolina. Known for barbecue, country music and hard-nosed football. Don’t look now, but the Carolina Panthers are bringing back an old-school style of play and they are really good at it. Everything you hear about NFL offenses these days revolves around passing. In fact, the league is on pace to beat the record set in 2013 for most pass attempts per game across the entire league. At the same time, NFL teams are running the ball at a record-low rate. 2015 is on pace to be the fewest rushing attempts per game, breaking the previous low set in 2014, which beat the low mark set in 2013 before that. In short, passing is trending upwards and running is trending downwards. That doesn’t seem to bother the Panthers though, who are determined to win by running the football. They have more rush attempts per game than anyone else in the league through the first eight weeks of the season. And they are pretty successful too as they lead the league in ground yards per game. This team has the look of the 2013 Seahawks, with a mobile quarterback and strong defense, except they rely even more heavily on the run. On the other hand, Carolina seems pretty adverse to throwing the ball. The Panthers are attempting the fifth fewest passes per game and have the third fewest passing yards per game. Usually that is a recipe for disaster but these boys from Charlotte seem intent on bucking the trend. Oh and did I mention that Carolina is undefeated. This is a winning brand of football. Newton and the Panthers already have the same number of wins they did a season ago. At the helm of the offense is Cam Newton. The Auburn product has taken a little while to get to this point. Not so long ago, pundits criticized his maturity and questioned if he had the right tools to be an NFL quarterback. “Super Cam” is far from conventional but he is effective nonetheless. Strictly looking at Newton’s stats without taking into consideration all sides of his game limits the understanding of how important a piece he has been this year for the Carolina offense. His completion percentage ranks second to last among qualified passers, only above Ryan Mallet’s. However, the Panthers rank seventh in the league in drop percentage, which certainly hurts Newton’s completion percentage. Newton also ranks 28th out of 33 quarterbacks in yards per game average, which is far from stellar. However, his total yardage per game is much better. Cam has always been good with his legs and he leads all quarterbacks with 40.9 rushing yards per game. He also ranks 13th in the league in terms of rushing first downs. That’s right. In the league. When you factor in Newton’s ability to use his athleticism to extend plays and drives, his short comings as a passer become a little more excusable, especially when he is punching in points. Newton has 11 touchdown passes on the year so far. He also has four rushing touchdowns, which ranks him fourth among all players. For passing and running touchdowns, Newton ranks tied for sixth in combined scores among quarterbacks. Clearly, the Panthers are doing something right because they are scoring the fourth most points per game. Kuechly lead the NFL in tackles in 2014. While Carolina might be denying convention on offense, the defense is truly the unit to watch. They rank ninth in yards per game allowed and tenth in points per game allowed. They have played three games though without captain Luke Kuechly, who is still somehow in the top 50 for tackles, even though he has only played four games. Mario Addison, Shaq Thompson and Dwon Edwards have all missed time as well. Carolina has been one of the better defensive teams in the league despite all the injuries to its front seven. For a pass rush that already stacks up well with 20 sacks in seven games, getting healthy is bound to make it even better. That defense is good at giving the ball back to the offense. Carolina is third in turnovers generated per game. This Panthers defensive unit is gritty and seems to be getting better as the year goes on. It is far from perfect but it has worked thus far. 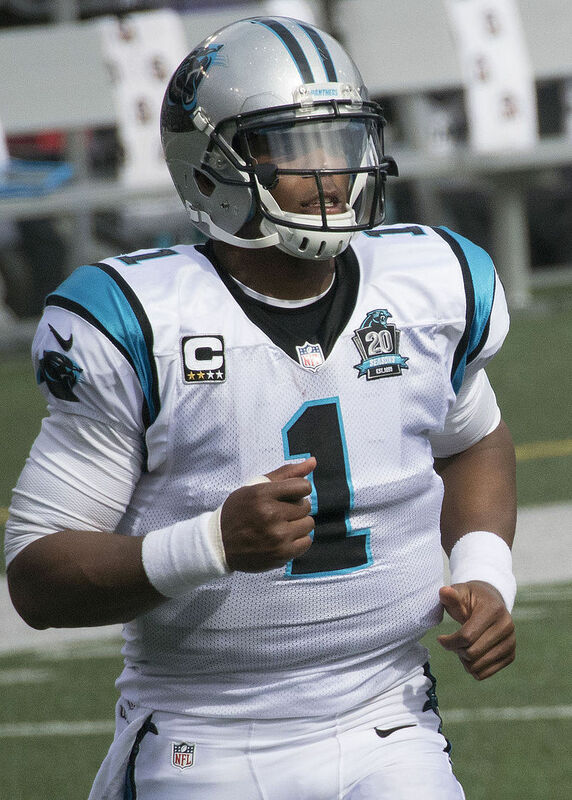 It is scary to think that the Panthers have room to improve as well if Cam can improve on his accuracy and the receivers stop dropping the ball. With all of that room to improve, it is ridiculous that the Panthers have won 12 of their last 13 games dating back to last year without being seen as a complete team. This team has the mental toughness to be a true contender, as shown in a fourth quarter road comeback victory against Seattle and a tense overtime win against the Colts. Carolina has officially put the rest of the league on alert with their gritty and old fashioned play so far. The question now is can anyone stop them.